The Tambourine’s ability to play sensitively and then have a voice and presence in loud passages effortlessly is a welcome and needed addition to a percussionist arsenal of colors. Well done Kevin Harlan! The music festival I’ve played at in China for the third time is called The Fifth International Orchestral Music Festival in Zhengzhou, China. The two gentlemen pictured are part of the percussion section. The one on the left is Qin Xin Yi.The one on the right is Li Chen Si Yuan. 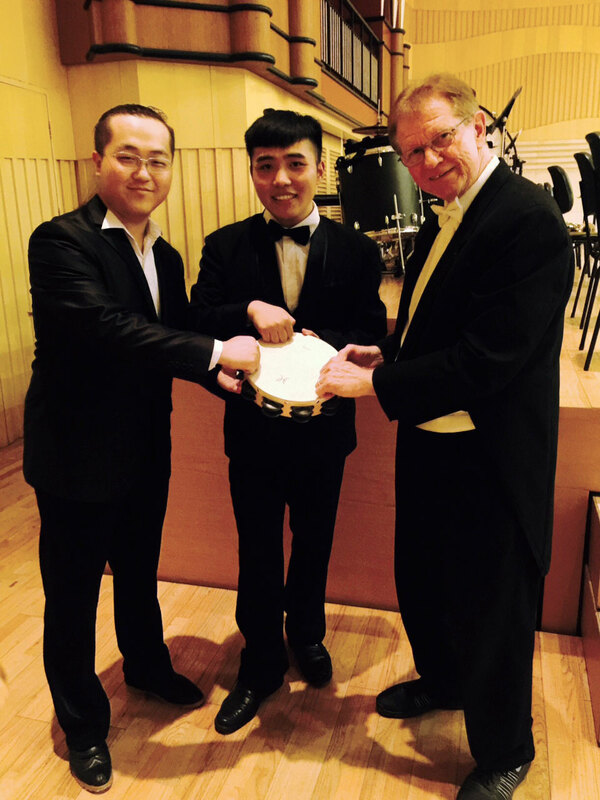 My position there is Principal Timpani, clinician and recitalist. These players never experienced a tambourine like yours.